Educated business professionals can channel their knowledge and expertise into a variety of career paths, such as management, financial planning, or marketing. Advancement in these disciplines can be greatly aided through the completion of a Master of Business Administration degree, as the coursework in these programs can offer determined students extensive knowledge of advanced business practices. When paired with an appropriate level of real-world leadership experience, graduates may qualify for the MBA career options described below. From multinational corporations to startups, companies large and small rely on driven business professionals to achieve success. Because they have a comprehensive understanding of current best practices for business management, MBA graduates are critical parts of the industries noted below. However, it’s important to note that for some positions, especially those related to finance or accounting, that additional training and/or certifications may be required aside from a graduate-level degree. Educated administrators are usually found leading businesses in almost every industry across the global marketplace. This is due to the diverse nature of MBA programs–they often allow graduates the chance to specialize in a number of different professions. Here are a few of some of the more popular career paths for MBA graduates. Accountants help businesses allocate their funds optimally. A majority of this work entails ensuring that all financial statements are accurate and that they comply with any applicable laws or regulations. This often includes tasks such as calculating tax obligations and ensuring that taxes are paid on time. Accountants may also discover ways to reduce costs or improve profits for their employers while reviewing financial records. In this case, they can present their ideas to administrators and recommend the best practices to implement that idea. Success in this field requires in-depth knowledge of mathematics, as miscalculations have the potential to become very costly—especially in larger firms with significant revenue. This knowledge is usually gained through a bachelor’s degree in accounting, but an MBA program (with a concentration in accounting) will allow business professionals to take on senior accounting positions with government institutions or enterprises. According to the U.S. Bureau of Labor Statistics, the median annual salary for accountants was $68,150 per year in 2016, and the number of available positions in the field is expected to grow by 10 percent through 2026. Human resources managers are responsible for directing the recruitment, hiring, and retention of new employees. The recruitment and hiring process typically includes identifying ideal job candidates and interviewing them. The human resources manager may perform the interview or have another human resources employee conduct it instead. Once employees are hired, the human resources manager oversees interactions between employees, often acting as a liaison between the employees and the administration. A human resources manager often relies on his or her communication skills to gather a reliable amount of information about candidates during the interview process. The manager then analyzes this information to determine whether the candidates are a good fit. Leadership skills are important, too, as human resources managers are typically the directors of an overall human resources department. The median annual salary for qualified human resources managers was $106,910 in 2016, and the number of available positions is slated to increase by 9 percent through 2026. Financial managers work in a capacity somewhat similar to that of an accountant, but their job is more focused on monitoring and managing a business’s financial state. To this end, they use advanced financial software to prepare financial statements, generate reports on business activity, and create forecasts that business leaders can use to plan future budgets. The financial manager usually supervises a team of finance employees. Therefore, he or she will need strong leadership skills to optimize productivity. The financial manager will also need to help the management team make financial decisions by processing finance data into digestible presentations. Financial managers help businesses make more money and spend less, making them inherently valuable team members. By earning an MBA, business professionals can learn the advanced analytical and administrative skills they will need to properly coordinate the finances of their employers. Although it is not required, prospective financial managers can also earn the Chartered Financial Analyst (CFA) certification to further distinguish themselves to employers. Financial managers earned a median annual salary of $121,750 in 2016, and demand is growing fast for these professionals—the occupation is expected to grow by 19 percent through the year 2026. Executive leaders are the individuals who establish the strategies that dictate how a business will operate. The specific duties of an executive fluctuate depending on the type of business with which one works. But at a base level, the responsibilities involve setting goals and implementing policies and programs to optimize performance in a business. In small businesses, an executive handles day-to-day operations and plans for the future of the business. On the other hand, executives of large organizations often have a particular area of expertise (administration, finance, operations, etc. ), and they work within a team of executive-level employees to develop policies and strategies. 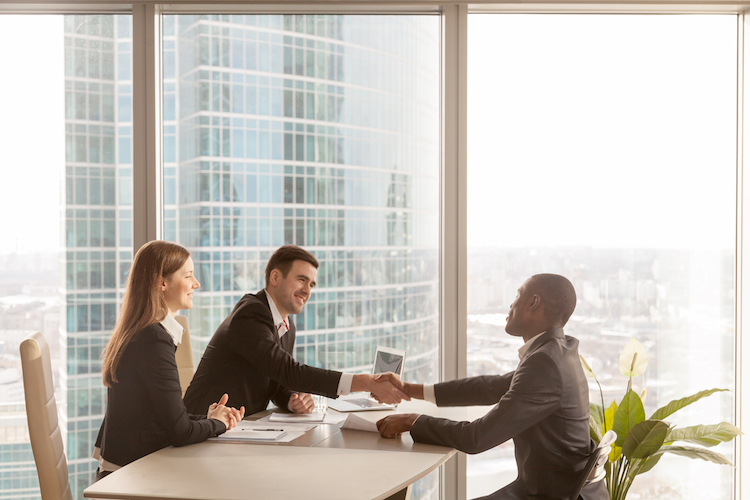 Becoming a chief executive typically requires extensive experience in business management or leadership, making it a widely sought-after MBA career option. Through the completion of an MBA program, aspiring business people can enhance their understanding of management principles. Postgraduate education is not always a requirement, but it can potentially make professionals better candidates for placement in executive roles. The median annual pay for chief executives was 103,950 in 2016. Market research analysts use their understanding of market trends to identify how to effectively sell a product or service. This process involves identifying the types of products that are in demand, which people are likely to purchase them, and what those consumers believe to be a reasonable price for a product. An educated market research analyst can answer these questions by measuring, recording, and processing relevant data about consumers. In addition, data regarding competing firms and the overall economy may also be assessed in order to find ways to improve the firm’s approach to marketing. Many of the analytical processes are performed using a computer, but a market research analyst will still need a firm comprehension of statistics, economics, and consumer behavior to effectively garner attention from customers. As an MBA program should delve into each of these subjects, the degree is often required for some marketing analyst jobs. The median annual salary for market research analysts was $62,560 in 2016, and the demand for the profession is expected to grow by 23 percent through 2026. When organizations make a change in policy or operational strategy, employees must be trained on how to adhere to the new rules. Training and development teams are usually responsible for conducting these training procedures. The training and development manager supervises this team. Some duties include setting training goals and managing the funds that will be spent on training. The training and development manager will also need to select the training materials, with consideration for quality and cost-effectiveness. If a training program is not bearing desirable results, the manager will need to work with his or her staff to enhance it. Training and development managers are more effective if they have experience in the fields in which their employers operate. A master’s degree in business administration can teach professionals how to channel their industry-specific expertise into efficient training programs. Professionals in this occupation had an annual median salary of $105,830 in 2016, and 10 percent more training and development management positions are expected to be available by 2026. Manufacturing facilities and similar industrial plants often have many employees and a variety of tasks that must be organized, assigned, and supervised. An industrial production manager ensures that the goals of the facility are being met by dictating which tasks need to be handled and in what order. These managers also monitor the performance of the workers and record their observations in production reports. Using these reports, they can identify and fix problems that arise in the production process. Industrial production managers don’t always need an advanced education, but management of a larger facility may require a postgraduate degree, such as an MBA. An MBA graduate is more likely to have the clarity of mind and business acumen necessary to safely oversee a very large staff of production employees. The median annual salary for industrial production managers was $97,140 in 2016. Administrative services are basic tasks that must be carried out to keep businesses running smoothly, such as mail distribution, recordkeeping, and maintenance. Administrative services managers may not need to physically perform these tasks, but they typically use their leadership skills to direct a team of administrative professionals. Other responsibilities include scheduling maintenance for important equipment and ensuring that administrative tasks are being carried out according to any applicable policies or regulations. For instance, if there is a regulation that requires an organization to recycle certain types of waste, the administrative services manager would likely be responsible for ensuring that it is properly recycled. Some administrative services management positions are available without a postsecondary education. But for large-scale businesses, an MBA may be required. This is due to the massive volume of administrative work that must be professionally organized in order to keep a large company running at optimal efficiency and the potentially excessive costs associated with administrative errors in large organizations (fines, losses, etc.). The median annual salary in this occupation was $90,050 in 2016, and the number of available positions in this field is expected to grow by 10 percent through 2026. For individuals who are interested in leadership roles, pursuing a Master of Business Administration can lead to a number of promising MBA career options. Through the curriculum, they will learn how to channel their passion for business into creative ideas that can be used to boost the productivity and profitability of their employers. With an MBA in hand, graduates can set themselves apart from the crowd. To get started on the path towards these MBA careers, find out more about what an MBA program entails. Maryville University offers a program for students interested in pursuing MBA career options. If an MBA degree seems like the right fit for you, check out Maryville’s online Master’s in Business Administration program.